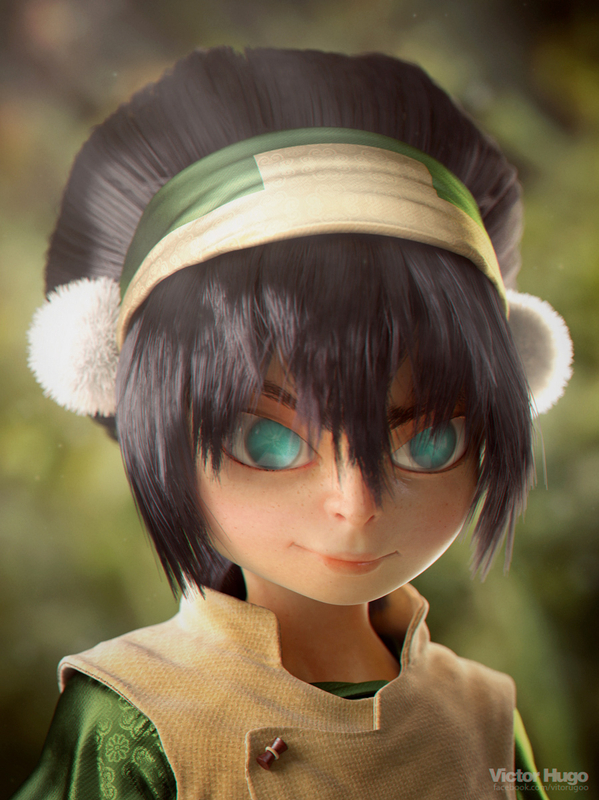 Once ago I've made a zbrush sketch of Toph (from Avatar), but I wasn’t totally satisfied with it, I mean, she’s one of the most awesome character I ever seen, and she really deserves more than a sketch. So, here’s a portrait of her that I’ve made this weekend! It was a great challenge since I was forced to figure out a good way to make her blind eyes without that scary “cataract” look, and it was a really great exercise to improve my “hair & fur” skills! Ornatrix rocks! hahaha!